Heading east from Vancouver，pass through the farm communities" Fraser Valley" to Hope for short stop. En-route to Sun Peaks Resort， we will take a stop at Hell's Gate，have a paranormal experience of Fraser Gorge at Hell’s Gate Airtram. The journey will take yor viewing the clean blue waters of Thompson River joins the muddy brown waters of Fraser River. the confluence makes for spectacular natural wonders.finally arrived in the wilderness of the cowboy town - Kamloops where the farm specialist will demonstrate the harvesting and planting process of North American Ginseng，and then we will arrive at Sun Peaks Resort to rest for the night. Today, the first stop of the day is Mt. 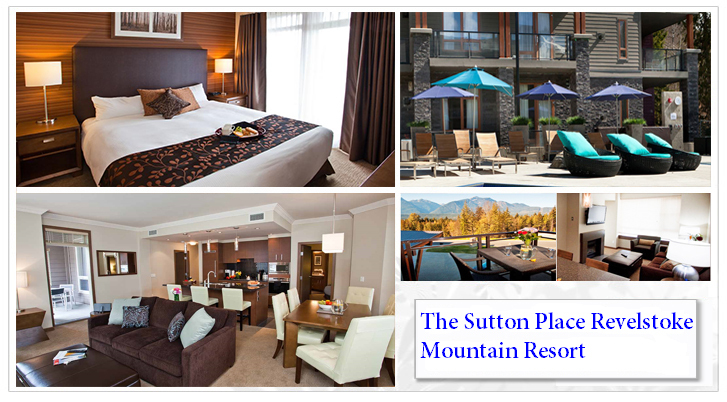 Robson Province Park overlooking the highest peak of the Canadian Rockies"Mount Robson". It is also the actual source of Fraser River the longest river of British Columbia.Continue our journey to Maligne Lake Boat Tours, introduce you to the azure-blue waters and majestic scenery of Maligne Lake. 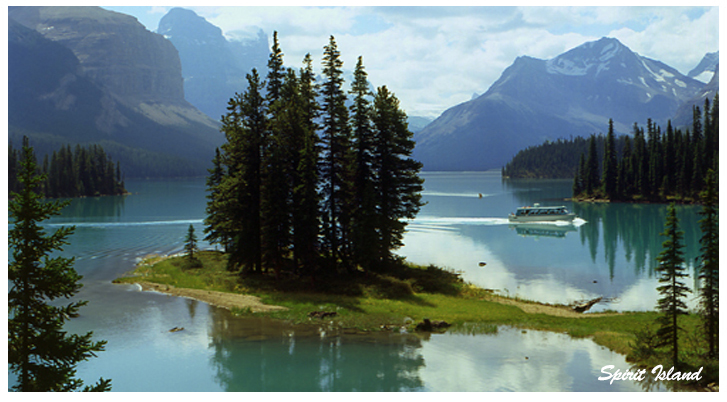 You can take the 90-minute cruise to Spirit Island, named the“Best Boat Tour in Canada”by Reader's Digest. 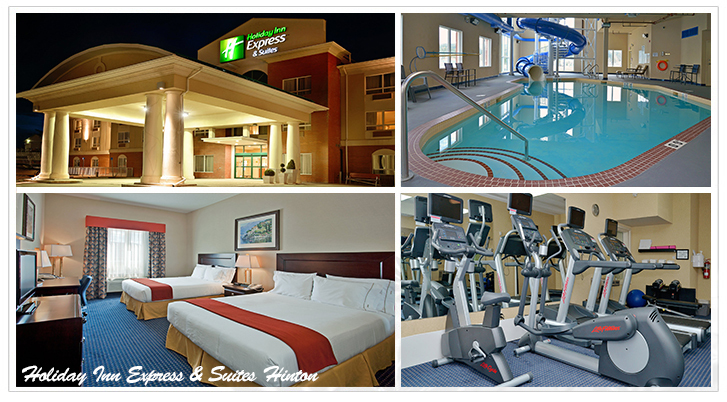 Finally，we will rest for the night at Hinton. Today, we will travel South bound along the Icefield Parkway.The first stop of the day will be the amazing 『Columbia Icefield』，where we will take the all-terrain Snowcoach to actually step on the Athabathca Glacier for an once-in-a-lifetime memory. 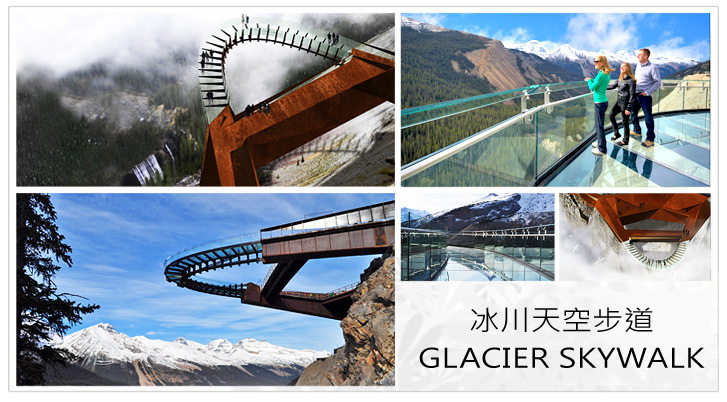 Then the journey will take you to the hair-raising、thrilling "Glacier Skywalk". 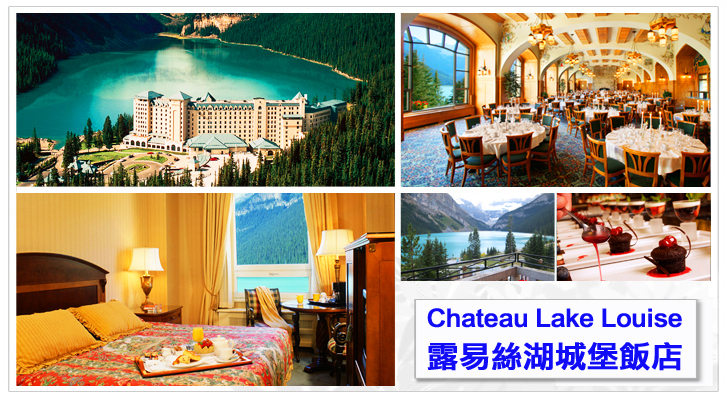 If the time permits, we will have a chance to visit Peyto Lake，Bow Valley，Bow Lake，and the Crowfoot Glacier .Finally，we will rest for the night at Chateau Lake Louise Hotel. 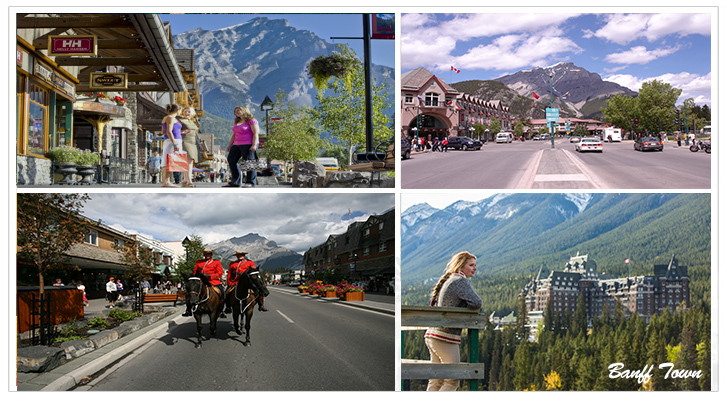 This morning， the excursion takes you along Tunnel Mountain Drive for views of Banff、『Cascade Mountain』、『Mount Rundle』 and 『Bow Falls』, The 1953 Marilyn Monroe film River of No Return featured the falls; The 『Surprise Corner』, absolutely is incredible view of the Banff Springs Hotel， nickname of 『The Castle in The Rockies』. You have a great photo opportunity from this vantage point. In the afternoon, short stop at『Emerald Lake』， is one of the most admired destinations in Yoho National Park, with an unmatched diversity of activities and landscapes suited to the enthusiastic travelerand. Then we will arrive at Revelstoke to rest for the night. This morning， we will visit the “Last Spike”the monument that tells the story of the coast to coast railroad assembling in 1885. Next， we will take a short stop at Lake Okanagan and see if you can spot the mystery lake creature，Ogopogo. Visiting a winery，In a cozy cellar-like tasting room, you will be able to experience the variety of VQA wines. In the afternoon， the journey heading west from Kelowna，pass through the farm communities" Fraser Valley". We will arrive back to Vancouver in the late afternoon and end this breathtaking scenery tour. Recommodation:[please book your returning flight later than 9:30pm] We are not responsible for any delays caused by traffic, road conditions and other circumstances.